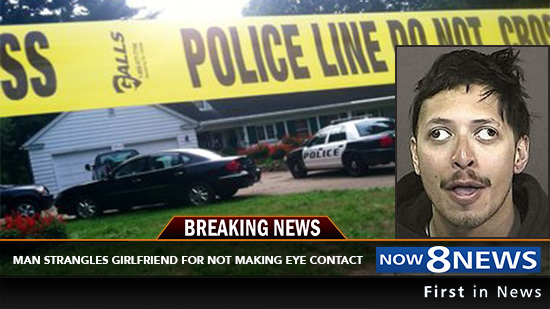 Kalamazoo, Mi – A 28-year-old Michigan man, Ralph Holden, was arrested and booked on charges of first-degree murder after his girlfriend was found dead in their 82nd St. home over the weekend. According to reports, neighbors called 911 and reported a domestic disturbance after they heard shouting from Holden’s residents. According to the 911 transcripts, a neighbor reported the disturbance saying she heard shouting were Holden continued to demand from his girlfriend, “look at me, look at me, look at me!” The neighbor could hear Miller crying, “I am but you never believe me!” That’s when Holden admitted to choking his girlfriend until she completely stopped breathing. Holden is being held without bond pending a mental evaluation.